A good food always made from scratch. It's basically same to skincare too. 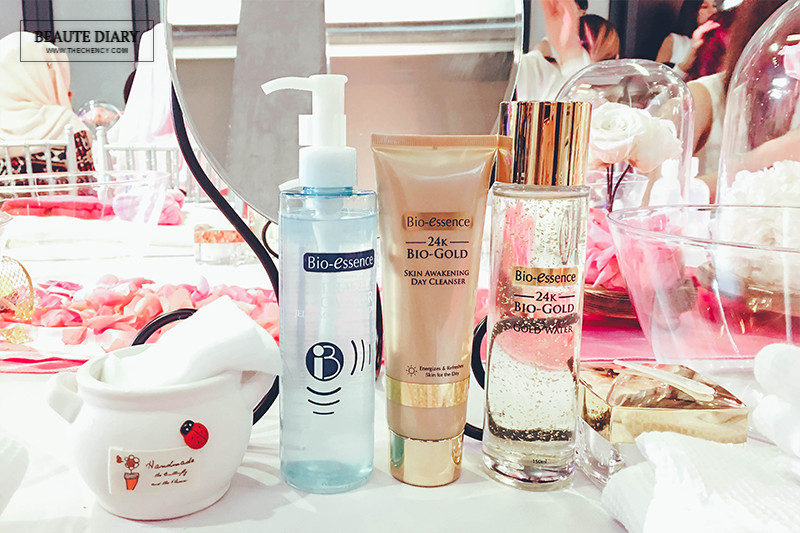 The foundation to having a good skin is from skincare. With the nowadays innovation of technology, I am glad they have applied into beauty as well. 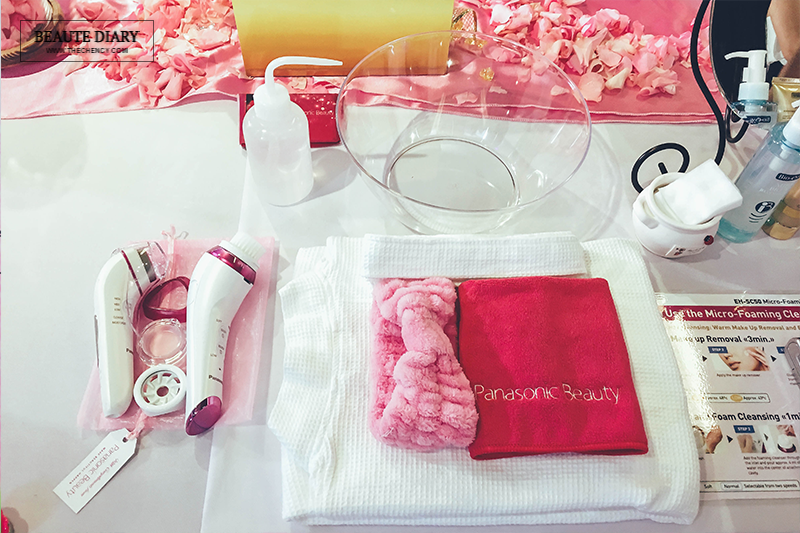 Panasonic has come out with many great beauty products that I really really die love like their hair dryer, heated eyelash curler and face steamer. 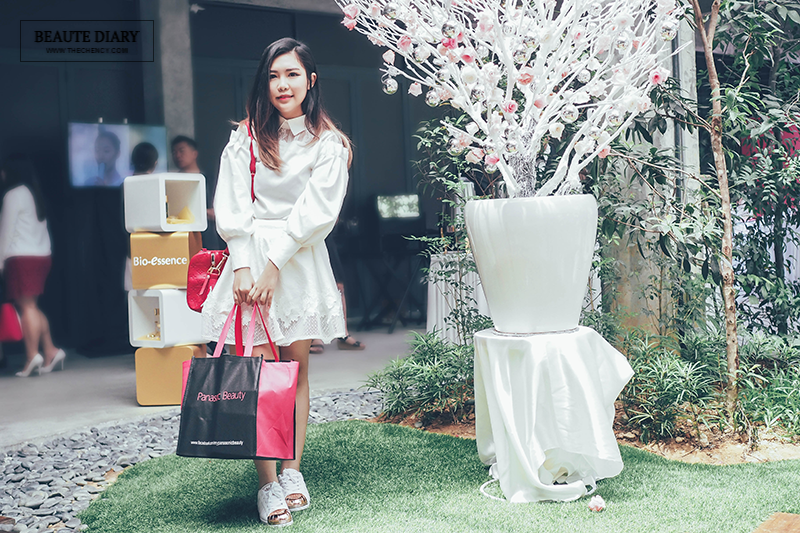 Now they have launched new face care products to continue this activity and spread beauty to women. removes makeup, cleansing and pamper my skin. 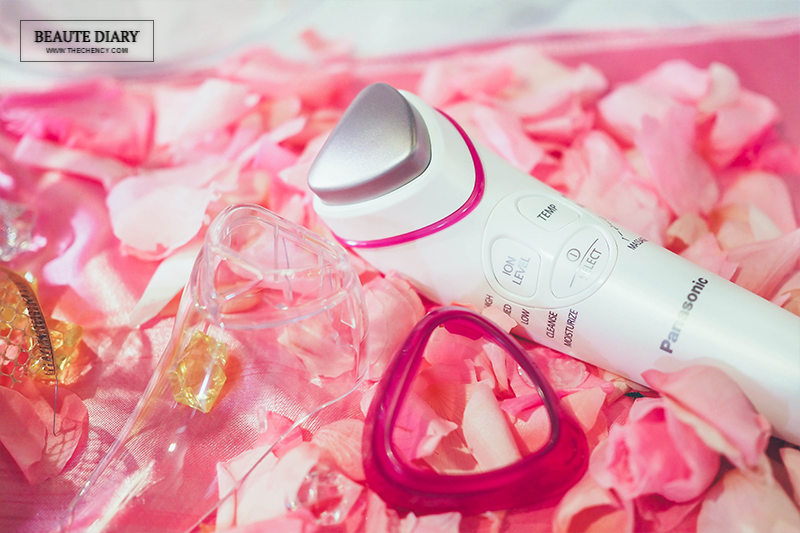 and Micro Foaming Cleansing Device (bigger). Before that, just to let you know I have removed my base makeup but not to eyes and lips. Okay, here's the special part. 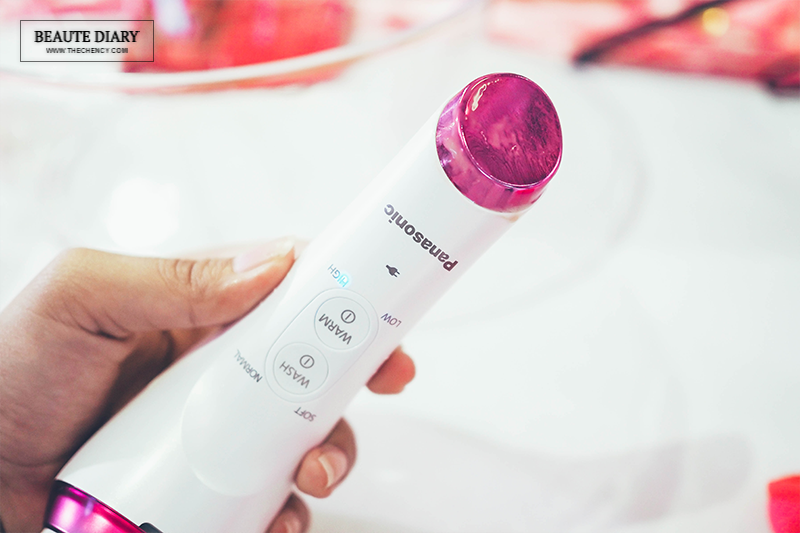 Panasonic Micro Foaming Cleansing Device has come with an additional function to remove makeup. It is at the other end of the brush-side (refer the picture above), like a flat-plate surface. To remove makeup, apply gel/cream based makeup remover all over to the face first and then turn on the 'WARM' button and select the desired warmness that comes with low (approx. 43°C) and high (approx. 48°C) option. After that, glide the makeup removal warm head from inside out (circular motion) to carefully blend makeup with the remover. Once the makeup all diluted, wash it off with lukewarm water. The device will automatic stop after 3 mins. 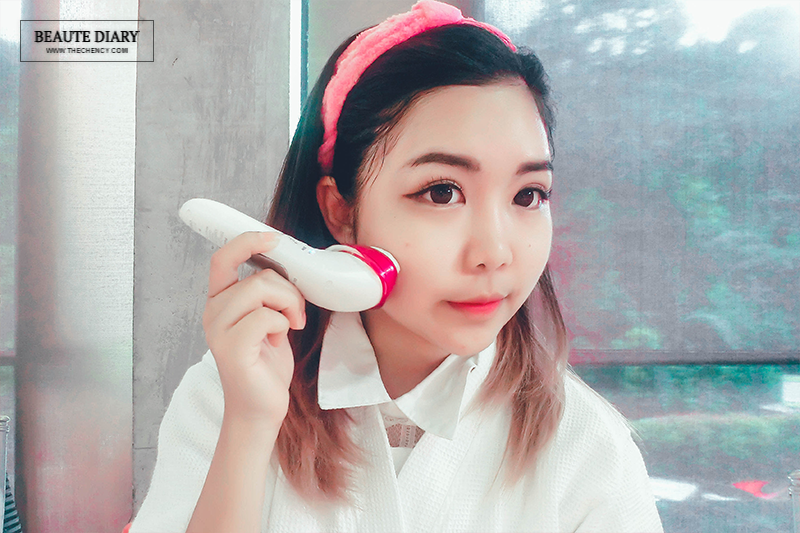 Panasonic Micro-Foaming Cleansing Device produced extremely fine and high-density micro-foam and soft brush function effectively remove dirt and oil, deeply cleansing and purifying pores without irritating the skin. The brush bristles are extremely soft and has two types of bristles. Long bristles (with tapered tips) direct contact with skin while the short bristles (with non-tapered tips) is to optimal brush resilence. Freak not, they do come with a foam head (non-brush head) if you're not a fan of brush or have extremely sensitive skin. The foam head will only produce the foam. To begin, add the cleanser into the inlet (refer picture above) and then a cup of water (according to the measuring cup provide, just fill in) into the center of attachment. Then depends on personal preference, attach either brush-head or foam-head to the device and press 'WASH' with two speeds option. You will the micro-foam is generated in about 5 seconds. Just wash the face by slowly spread the foam around the face. The device will automatically stop after 1 minute and rinse off the foam with lukewarm water. Moving to the second device, Panasonic Ionic Cleansing and Toning Device, EH-ST50. 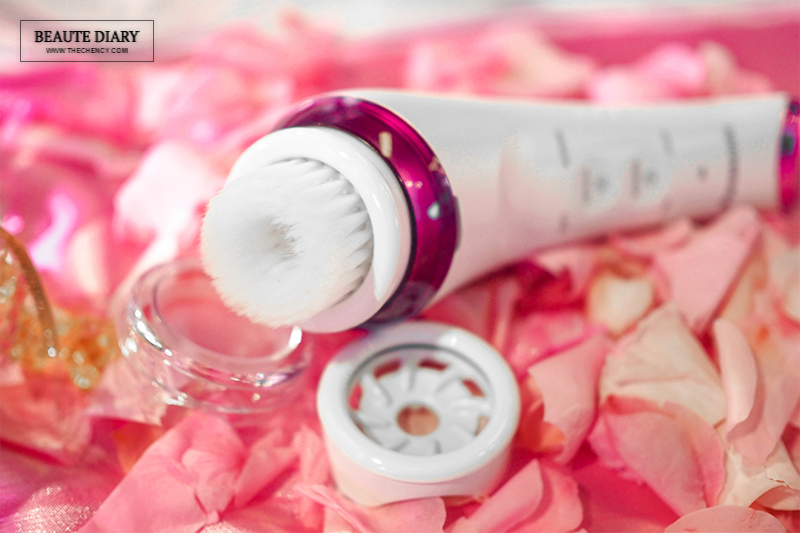 This device uses ionic power to allow moisturizing ingredients to deeply penetrate into the skin. The ionic flow from "+" to "-" pole causes ions to move and creates water flow which infuses the hydrating ingredients deep into the epidermis. Its triangle head provides warm rhythmic massage, allowing an intense moisturizing effect. Firstly, attach a cotton pad to the head and then pour some toner / cleansing toner on the cotton pad. Then choose 'CLEANSE' mode with three ion levels option (low / medium / high). After that, press the 'TEMP' button and select temperature; Low (approx. 40°C) or High (approx. 47°C). Grip the device on the Ion Panel from the rear, apply the cotton surface to the skin and gently glide upward for lifting effect. This device will automatically stop after 3 minutes. To moisturize the skin, you can go for 'MOISTURIZE' or 'MASSAGE' mode. 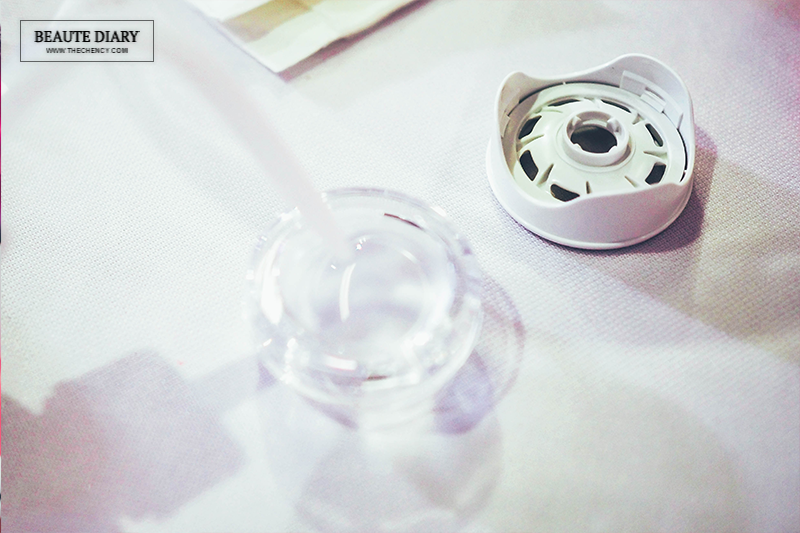 You can use with serum, emulsion, moisturize, massage cream and even eye cream; means this device is safe for eye area too. My personal preferences will be using 'MOISTURIZE' for the front skincare step and then only using 'Massage' mode for my last skincare step. 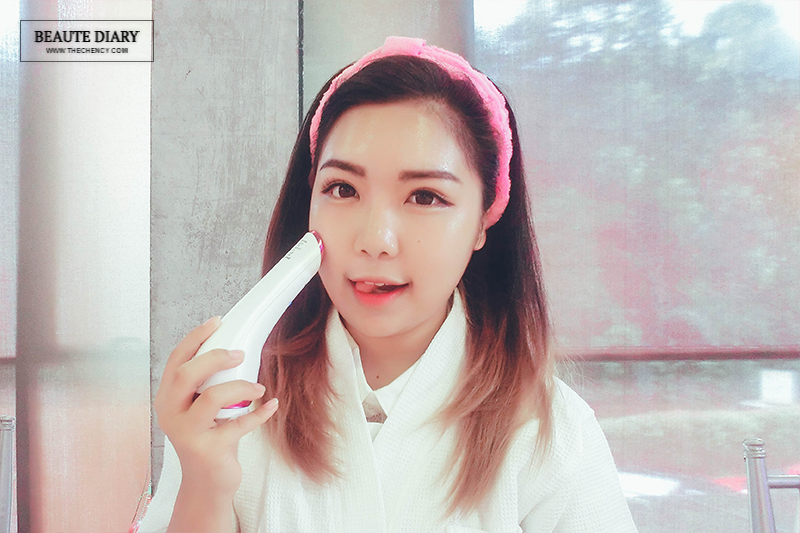 If you love to pamper yourself with sheet mask, then you can use this device for deep absorption when pampering. There's no need to attach cotton pad when doing it. Just grip the device on the Ion Panel from the rear and gently glide upward for lifting effect. This device will automatically stop after 3 minutes. 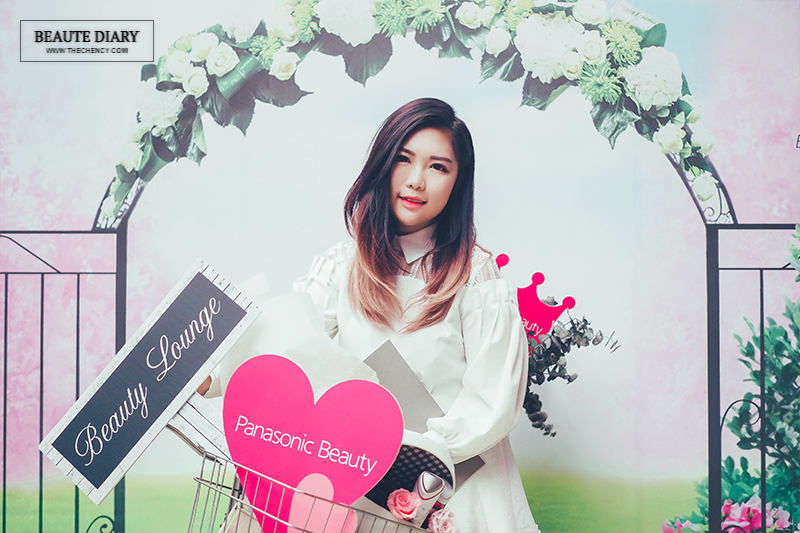 After the high technology skincare steps, Panasonic did provides some makeup by Makeover Paris for us to touch up. 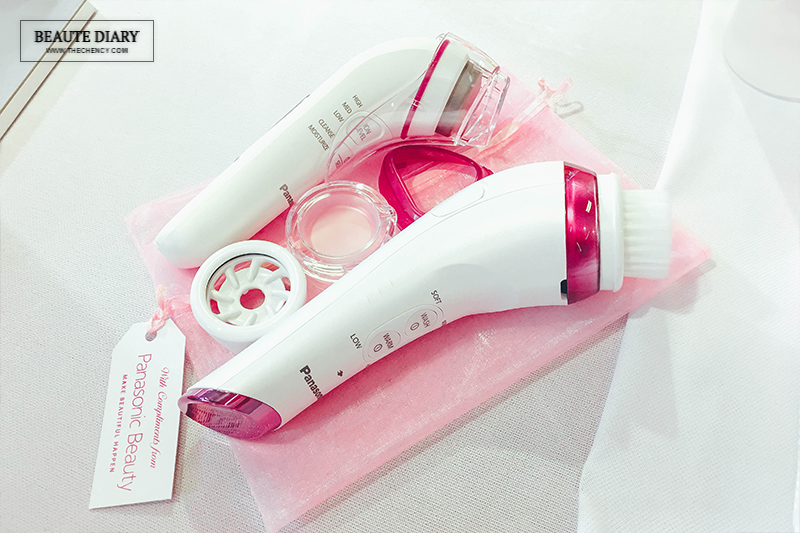 Then moving on to their last debut product, Panasonic Styling Brush Iron, EH-HT40. This is the new addition in the hair care category. This styling iron is easy to use and creates airy large curls, resulting in beautiful volume for the hair. With 2 temperature settings, this brush can be adjusted according to the desired type and style. 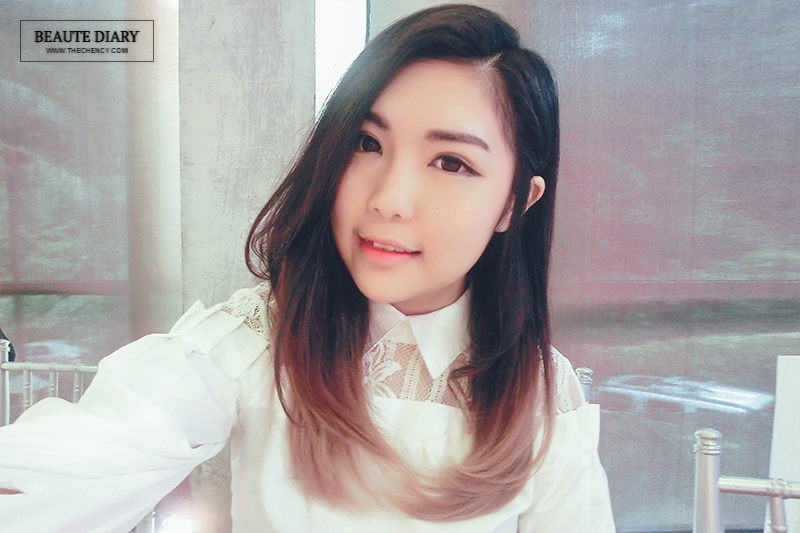 It does come with the hair-catching clip to enjoy from large airy curls to cute tight curls. 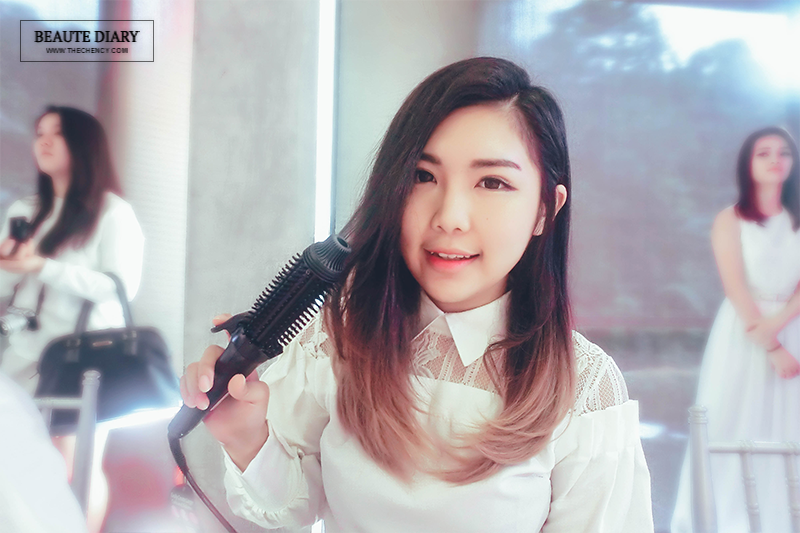 This styling iron is best suits to medium-length hair. oh my. that products are quite expensive. but it should yield good result shouldnt it? Great tools for face cleanse. Skin care is much easier now! good to see that they have these lovely items now :D gonna check them out soon! 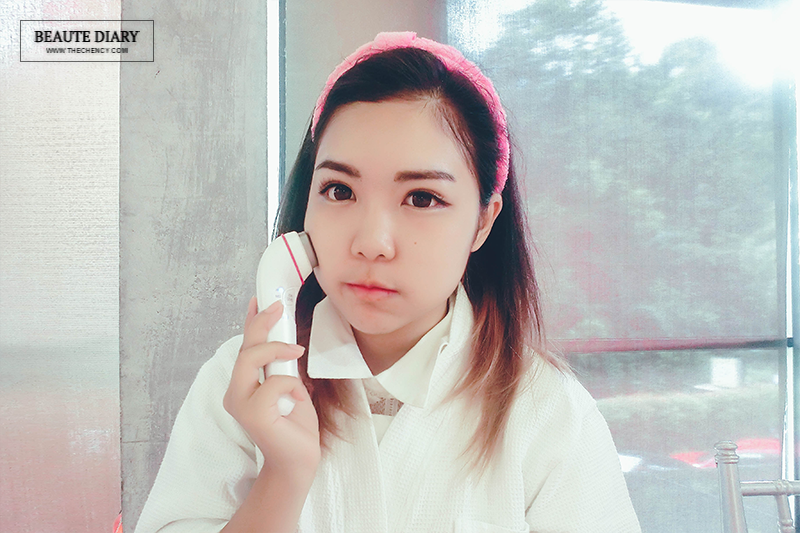 I am a bit fan of cleanser! I think I am gonna get one myself! aww! Another device adding into your collection haha! Btw, why are you always looking so flawless! Looking pretty as usual babe! I love their innovative face cleanser! 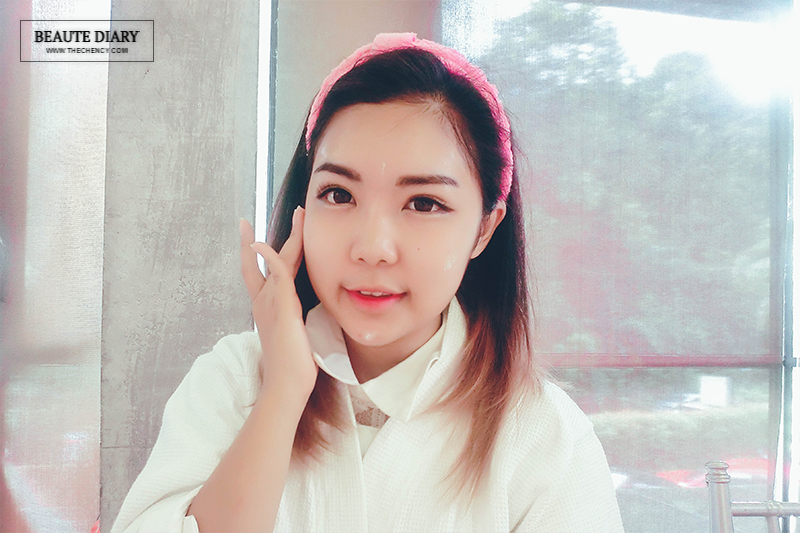 Looks like it has clean our face thoroughly =D Love your whole white outfit on that day! Great tools to invest in for a beauty blogger. Apart from the price tag, the look quite advanced for me to use. Wow, Panasonic is into beauty products now??? 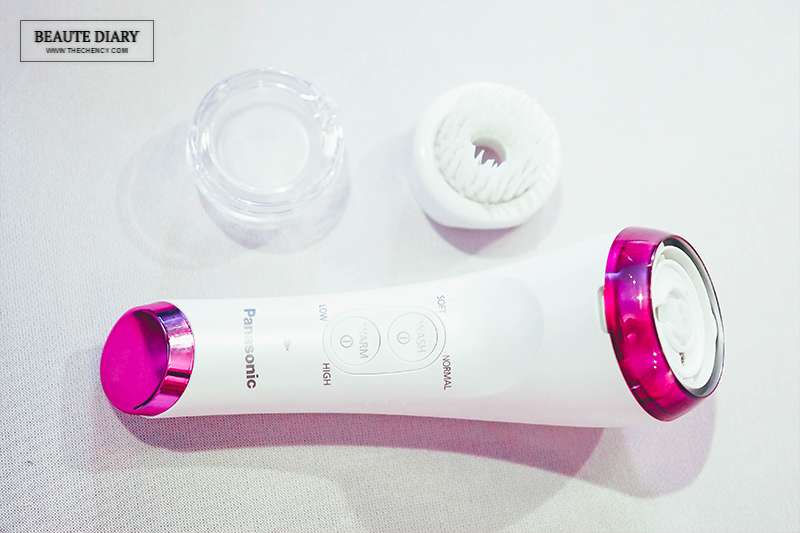 Now we get 'Beauty Gadgets'! Natural face care can be considerably more useful over the long haul as opposed to trend top of the line creams that cost the earth and don't convey. Characteristic face care items contain just genuine fixings that really are dynamic and say what they do.